DID YOU RECEIVE AN ACT 91, ACT 6, or ARE BEHIND ON YOUR MORTGAGE PAYMENT OR BELIEVE THAT YOU WILL BECOME BEHIND SOON? Our agency may be able to help. If you are having trouble making your mortgage payments, contact us to discuss your options. When debt issues become a crisis, seek help. Speaking to the right people could mean lowering your debts to manageable levels. If you own a home and are delinquent on your mortgage payments or about to be delinquent, don't wait. There is help, contact us. American Credit Counseling Institute will be offering this program again in August. If interested contact us through our Home Buyer Training page. When debt issues become a crisis, seek help. Speaking to the right people could mean lowering your debts to manageable levels. If you own a home and are delinquent on your mortgage payments or about to be delinquent, don't wait. There is help, call us today. 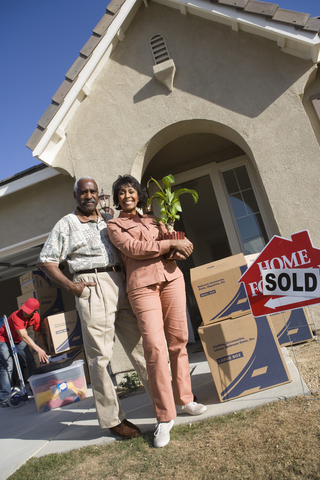 Don't allow debt or credit problems to interfere with your desire to own your home. Most of these issues can be overcome. We will begin a new program soon to educate you to improve your credit and your opportunities to become a new home owner. Send us an email using the Contact ACCI page for more information. For questions regarding credit and budget counseling, debt management counseling, pre-closing, new home buyer counseling, or pre-foreclosure counseling, contact us. Need a New Home Buyer’s Certificate? Are you buying a Home? We can help; call us at 888-212-6741or use our CONTACT ACCI link to send us an email. Do you need help with money management? Call us at 888-212-6741. Do you want to improve your credit history and credit score, need help to improve your finances, your ability to deal with money, too many debts and/or want to buy a home? We can help. Contact us by calling 888-212-6741or use our CONTACT ACCI link to send us an email. Please visit our Download Forms page to learn more about ACCI’s services and to find the forms that we will need for your program. For mortgage foreclosures, and other difficulties with your mortgage payments, an Act 91 or HEMAP, call our toll free number 888-212-6741 and ask for an appointment. Please call during business hours. Monday to Friday 9 am to 5 pm to schedule your appointment. Be prepared when you call; your will be asked for the date on the Act 91 (if you received one), a good email address where we can email you documents, a good telephone number to contact you during the day, and your mailing address. If you have a sheriff’s sale notice or a civil complaint, have those papers handy when you call. Homeowners, when debt issues become a crisis, seek help. Speaking to the right people could mean dealing with your finances and taking the steps to establish a healthy and manageable budget. There is help, contact American Credit Counseling Institute counselors today. Are you determined to be a home owner? Do you need a certificate to qualify for your mortgage loan, for a special grant or down payment assistance? Do you dream to become a homeowner one day, but need to learn more about how to make your dream a reality? Would you like to become a home owner, but believe that it will never be possible? If you answer yes to any of the questions above, we may be able to help you. Learn More by visiting the New Homeowners Certificate and Training information page. 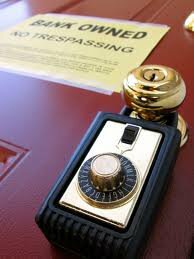 ARE YOU FACING OR FEARING MORTGAGE DELINQUENCY OR FORECLOSURE OF YOUR HOME? DID YOU RECEIVE AN ACT 91, ACT 6, or ARE BEHIND ON YOUR MORTGAGE PAYMENT OR BELIEVE THAT YOU MAY BECOME BEHIND SOON? Our agency may be able to help you. If you are having trouble making your mortgage payments, or if you received a Notice from your mortgage servicer or an attorney for the mortgage servicer threatening to initiate foreclosure action or an ACT 91 notice, you should immediately contact us at 1-888-212-6741 for an appointment. Do not delay contacting us – time is of the essence. If you have a conventional mortgage, an Act 91 notice is the first step for your lender or the servicer of your mortgage loan to begin foreclosure action. Even if you are dealing with the lender to try a loan modification, once you receive an Act 91, you must see a certified Housing Counseling Agency like us as soon as possible to delay or stop the foreclosure action. You MUST contact us for an appointment at once. Do not postpone it; if you do, it may cost you additional thousands of dollars to save your home. Sometimes people call their servicers and talk to inexperience tellers that give them the wrong answer. The answer is in your Notice. Read it. Read that Act 91 or Act 6 to learn what to do. Contact us at 888-212-6741 to schedule an appointment at once. These services are free. FHA mortgages clients do not usually receive Act 91, but they receive an Act 6 and a letter from the lender. VA and USDA (rural development) mortgage loans’ clients do not usually get an Act 91 notice, but they do qualify to apply for the HEMAP program. Contact American Credit Counseling Institute for help. Our agency will analyze your financial situation and will discuss with you possible course of action. Do not delay, call us at 1-888-212-6741 immediately to schedule an appointment at one of our offices. Check our offices’ addresses under “Our Offices” page. The mission of American Credit Counseling Institute (ACCI) is to help low to moderate income individuals and families to attain the American dream of owning a home and to help those homeowners facing mortgage delinquencies and foreclosure to hold onto that dream. ACCI accomplishes its mission through education and counseling. We are convinced that when a family owns their home, it translates into ownership pride, less dependency on others, more stable and well rooted neighborhoods, and a better and stronger nation. Copyright American Credit Counseling Institute 2018. All Rights Reserved.